Looking for a new job or planning to switch jobs? Do you have a scheduled job interview in near future? Don’t know how to prepare for such a situation? Do not distress. This article will prove to be a good reading for you. Feeling nervous about a job interview is quite a common phenomenon. No matter how experienced you are in a field, anticipating the interview questions and environment can be challenging. Most often such anticipation leads to some level of fear and nervousness. This feeling is mostly attributed to the fear of the unknown. I have disclosed some important job interview tips, questions, and their answers. Think about the most commonly asked questions in such interviews. You can gather ideas from friends, colleagues, teachers and even the internet to help you in this regard. Preparing for the most frequently asked questions in a job interview will help boost your self-confidence and you would not get stuck to such common questions for answers. Do your homework before going to the interview. This refers to the collection of relevant information regarding the organization, its industry, market standing and other related stakeholders. It will not only be beneficial for answering the interview questions but a better understanding and know-how of the industry will also display your keenness towards the attainment of this job and the organization. You can use various sources for such information collection like the newspaper, the internet, company websites, and annual reports e.t.c. Do not forget to dress up according to the job requirement and corporate environment. Physical appearances are important to create first impressions in the minds of the employers and interviewers. You need to have smart, formal attire with neat and clean personal hygiene. Looking professional and displaying a serious attitude towards the job is essential for grasping the interest of the interviewers. Relieve all types of stresses and tensions before going to the interview. You should be relaxed in your mind for a clear thought process. Get plenty of rest and plan your interview beforehand. You should not look tired or worn out at the interview. Neither should you be rushing through the interview to reach another appointment. Ensure punctuality and full commitment towards a given interview. 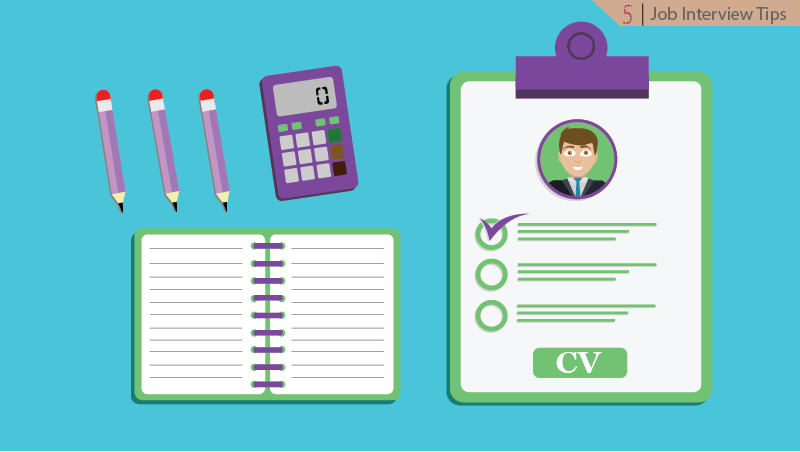 Take your CV and other related documents with you and remain focused on the questions asked. Always be inquisitive about the job and interviewing organization. When an interviewer gives you the opportunity to ask questions, be ready with some appropriate queries. This shows your interest and attractiveness towards the job. You should not appear to be dull, disinterested and unconcerned.No matter how an interview goes, make sure to keep a smiling gesture on your face without any signs of nervousness or distress. It is essential and advisable to end all interviews with a positive note or remark. You can be optimistic about the job and always greet the interview with a happy concluding note. These were some of the useful tips that can make your job interview much more successful and effective. To prepare in a better way, below are some of the commonly asked questions in most job interviews around the world. Some suggestions on how to answer these questions have also been provided. 1. Please tell us something about yourself? This is a very common job interview question that is frequently asked by interviewers in various types of settings. Telling them about your hobbies, interests, fitness regimes and recreational activities is not a good idea. It is advisable that you start with your educational activities and move on to your experience in the practical field. Keep this information precise and related to the job background and industry. Do not spend a large amount of time on these answers. It is essential to highlight your accomplishments and achievement throughout the educational as well as practical career. Explain the traits and skills that make your suitable for this job. For this question, you need to highlight all your skills and characteristics that show your flexibility, adaptability, and appropriateness for this job. However, being too casual or honest about your weaknesses is not a good option. Try to keep or weakness less relevant to the job. Your weakness should not hamper your ability to do this job. 3. Why did you leave or are leaving the existing job? This is a question that is mostly asked from experienced professionals looking for switching their jobs. Again you should keep in mind to remain composed about your thoughts and eliminate the negativity from the answers. Never be too honest about your opinions in an interview. It is not right to pinpoint all the negatives aspects of a previous employer. You should remain positive in your thoughts and highlight the prospects of a better future for switching to a new job. Talk about the opportunities available outside the current job and how you are aiming higher to achieve a better position. 4. How do you perceive yourself in the coming future? Or what are your plans in the long run? This is a tricky question. For a naïve person it may seem like an innocent gesture for knowing about your future but in reality, the employer or interviewer wants to judge your loyalty levels to the new organization. You should not make the answer to long. Be concise but ensure to include the prospective employer or organization in your future goals. These were some frequently asked questions in most interviews in the world. However, these are only generalized questions. You need to prepare for the technical queries and questions according to your own job nature and industry of work.